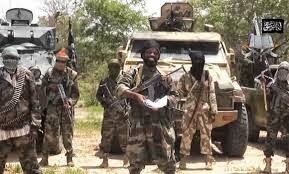 Boko Haram insurgents have overrun Maiha town, the headquarters of Mahia Local Government area of Adamawa state. According to a security source, the insurgents were spotted hovering around the area about 5pm of Monday. He added that nobody anticipated any attack as the insurgents had been coming to Maiha to preach and persuade the people to support their struggles. He said the insurgents used the Potiskum attack that led to the death of about 47 school children to divert attention, so that while the authorities’ attention was on Yobe state, the insurgents struck Mahia, leading to the killing of several people who refused to flee after Mubi was attacked. According to him , even before Mahia was overrun by the Boko Haram insurgents, it had been rendered a ghost of itself as commercial and social activities were paralyzed as a result of exodus of people from the town occasioned by attacks on Mubi which is 20km away.